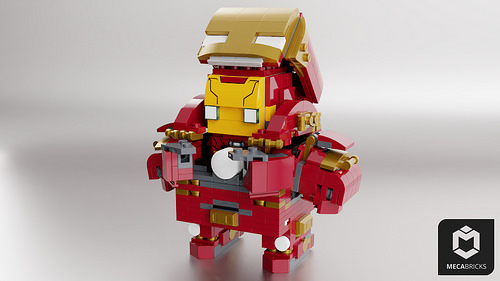 Hot on the heels of a LEGO Brickheadz-styled Back To The Future DeLorean, we get another “vehicle” for the blocky figures — a chunky chibi Hulkbuster Armour designed to fit Brickheadz Iron Man. 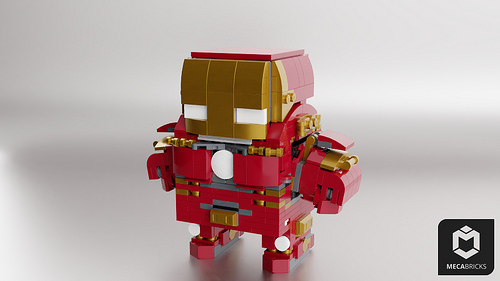 This digital creation by ORION_brick is nicely done, with suitably beefy proportions and LEGO’s own Iron Man nestling comfortably inside. We don’t feature a lot of digital renders on the Brothers Brick, generally preferring our LEGO models to be constructed in actual bricks. However, this is a cool idea and, unlike many digital creations, it doesn’t employ too many non-existent part/colour combinations.